Gamera turns 50 in 2015, and G-Fan's got him! Look for a special feature on the titanic turtle's career, as well as information on this summer's G-Fest and G-Tour of Japan! 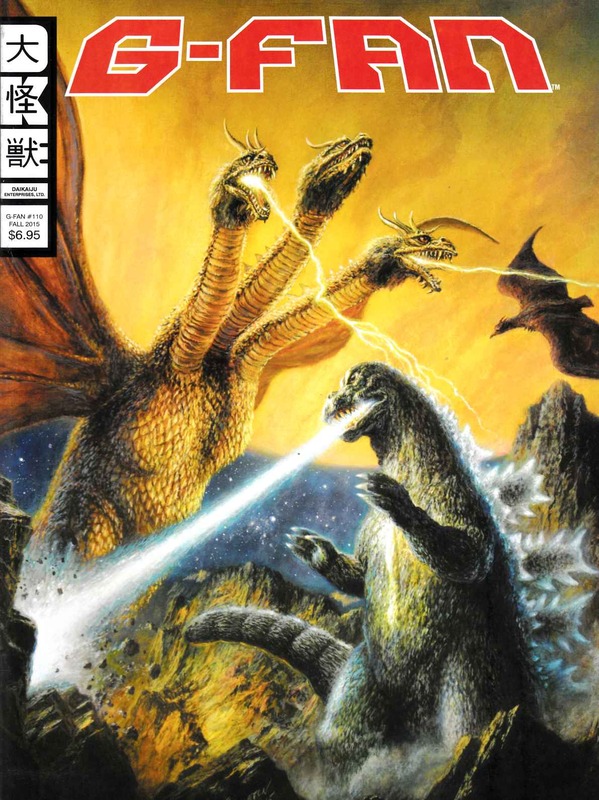 Plus, the latest news on Toho's new Godzilla film, product news and reviews, fiction, art, interviews, and much more!